I Believe You Liar, Washington’s platinum-selling debut album peaked at #3 on ARIA Album Chart and saw her win Best Female Artist and Breakthrough Artist at the 2010 ARIA Awards. 2012 follow-up Insomnia, an 8 track EP, saw her perform in Paris, London, New York and her first of many Sydney Opera House appearances. Her second studio album There There, debuted at #5 on the ARIA album chart in 2014 accompanied by dazzling festival sets at Falls, Splendour in the Grass and triple j’s Beat the Drum. 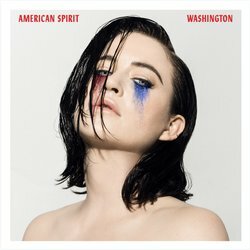 The same year, Washington inspired people the world over with her honest and personal TEDx Talk ‘Why I Live In Mortal Dread Of Public Speaking.’ Most recently Washington’s soaring vocals have been heard on the new and euphoric Japanese Wallpaper single Fooling Around alongside Auckland NZ dream-pop musician Fazerdaze.